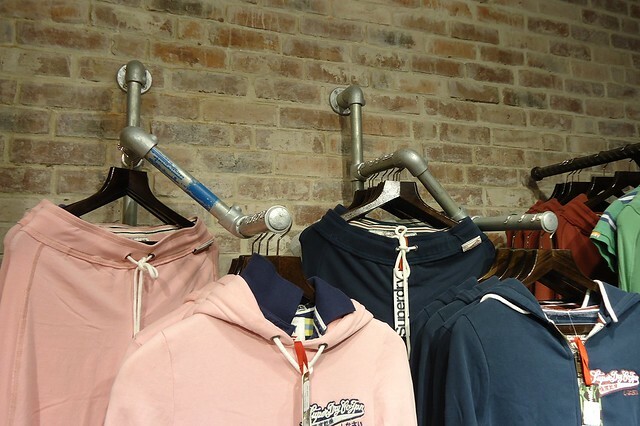 Superdry, an international casual clothing supplier, has refurbished a number of their stores world wide with Kee Klamp clothing racks. 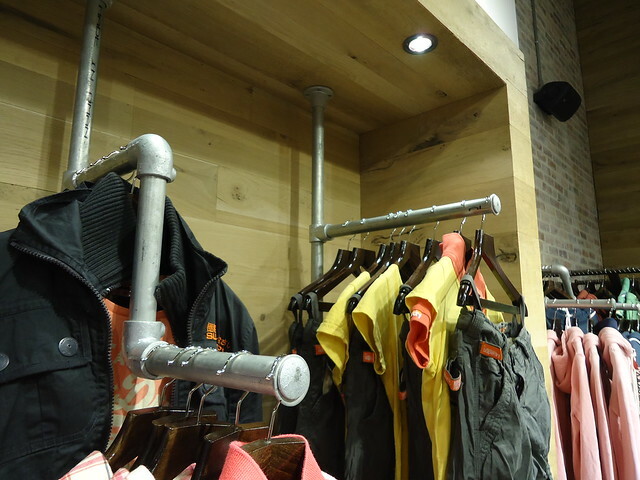 These custom clothing racks are made from Kee Klamp pipe fittings are supply the store with a strong industrial clothing rack system that can be customized on site to display clothing in a variety of ways. 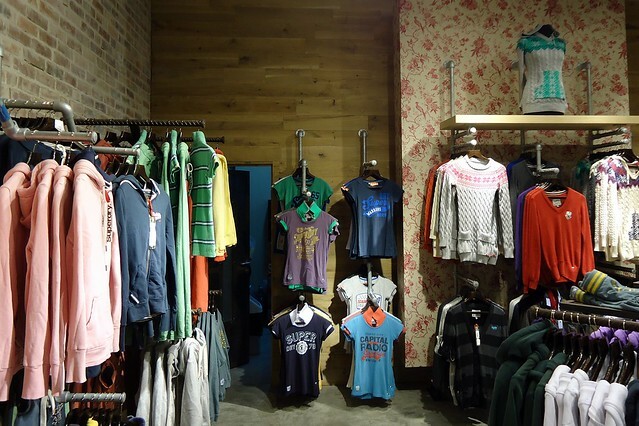 The racks usage of Kee Klamp fittings allows the racks to easily integrated with shelving and other store features. 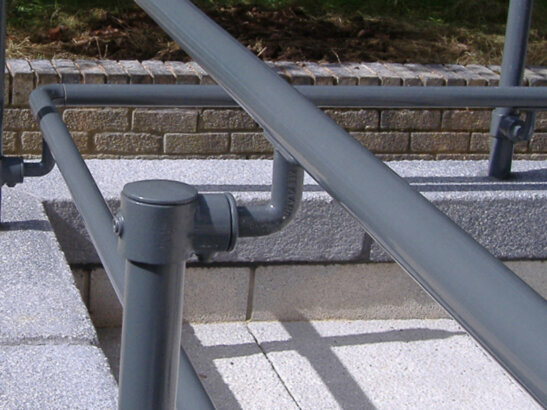 The shelf in the picture below is mounted to the clothing rack using Type 70 Rail Supports. 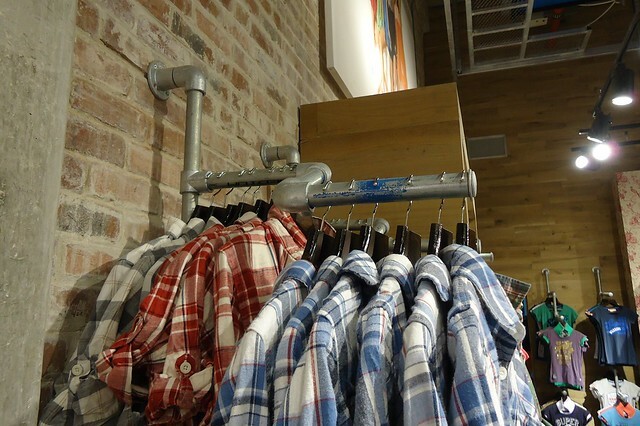 The use of Kee Klamp pipe fittings and pipe allows the clothing racks to be mounted in a way that fits the environment. 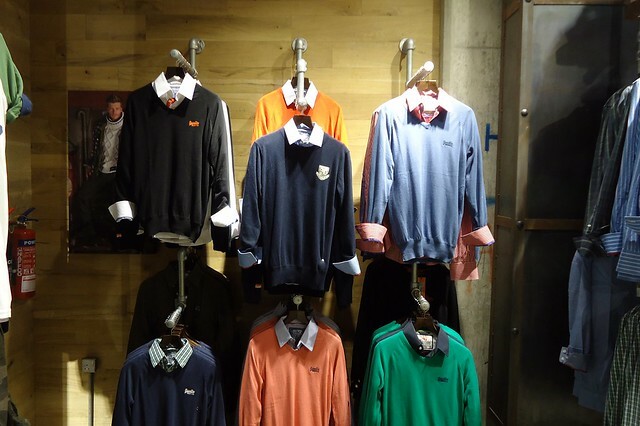 For instance, some of these clothing racks mount to the wall, while others mount to the ceiling. 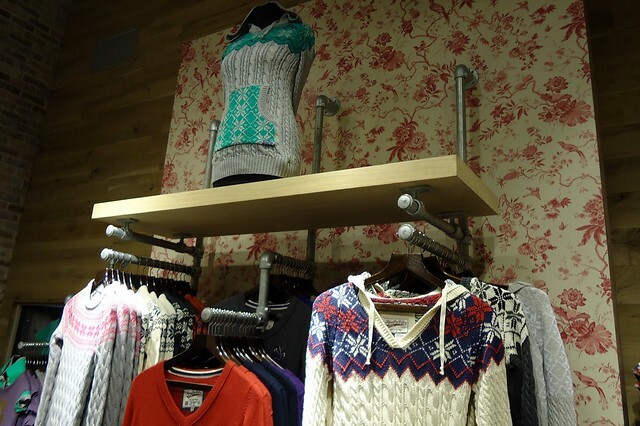 These clothing racks can be combined and spaced to make groupings, or left to stand alone in a space. 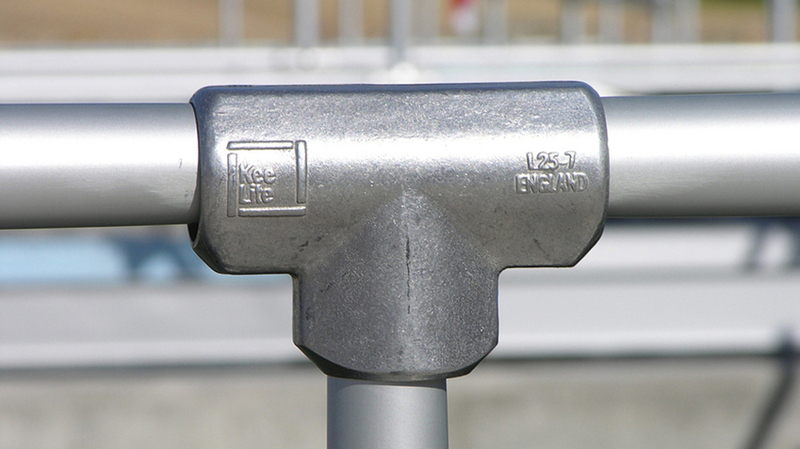 The slip-on pipe fittings that make up the clothing rack allow the rack to be position in different angles to bring visual interest and greater flexibility to the display unit. To make the addition of these kinds of racks to your retail store even easier, we've created a number of simple clothing rack kits. These kits, can be mixed and matched, and even customized to fit your environment. Of course we still offer completely custom clothing racks if that is your desire. Check out the kits, and see if Simple Rack clothing rack kits will help you outfit your retail store with fully customizable, industrial strength clothing racks! 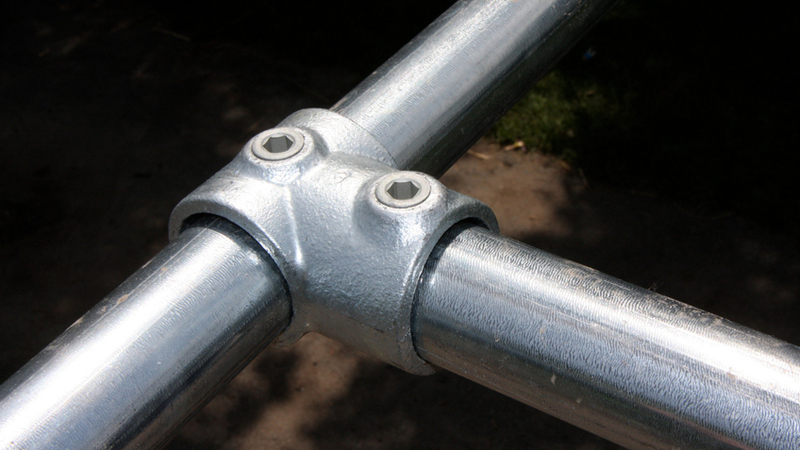 Our experts will help you select the items you need to create your project.